Soldier Garret Xavier Sebastian has a mission to seek and destroy all dragons, and Talon’s newest recruits in particular. But he cannot kill unless he is certain he has found his prey: and nothing is certain about Ember Hill. Faced with Ember’s bravery, confidence and all-too-human desires, Garret begins to question everything that the Order has ingrained in him: and what he might be willing to give up to find the truth about ingrained in him: and what he might be willing to give up to find the truth about dragons. 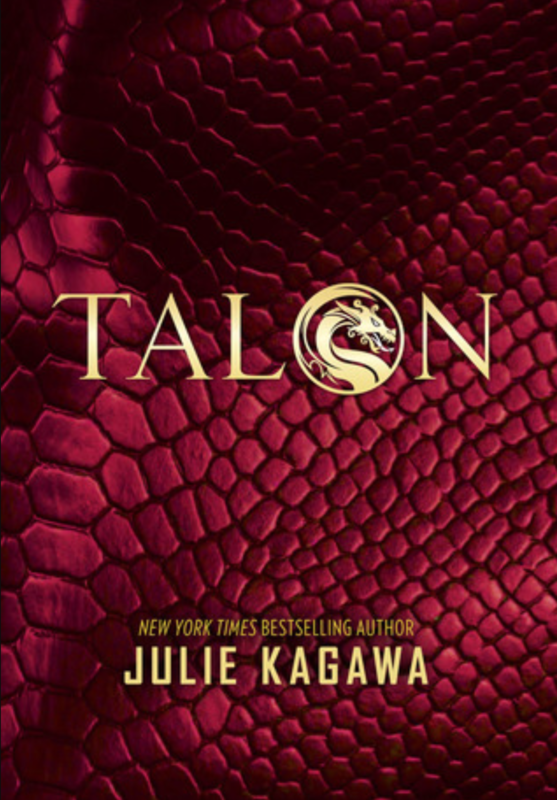 I really like Julie Kagawa writing this is the second book I have read by her. My only issue with this book was the lead character kept making dumb decisions. I found myself wanting to shake her and say what are you thinking don’t go there or don’t trust this person didn’t you see the signs? Lol but she is a 16 year old girl with little to know real world experience. By the end of the book I did see a lot of growth with Ember and it was a fast paced read. I gave this book 3.5 out of 5 stars and I’ve already purchased the sequel so I will finish the series. Happy Reading Y’all!!!!! I love this author! Great review!